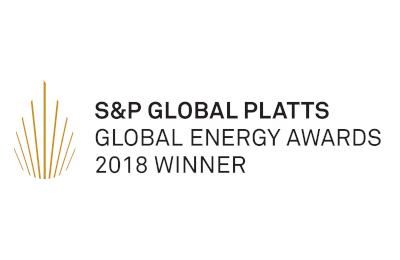 The 20th edition of the Global Platts Global Energy Awards organized by S&P Platts proved to be a successful one for ENGIE as it won the Award of Excellence in Power. The Platts Global Energy Awards are an international competition to pick the top performers in the energy sector across 18 categories. ENGIE had been nominated for three other awards— “Industry Leadership—Midstream”, “Corporate Deal of the Year” and “Rising Star Award”. The awards highlight the quality of ENGIE’s global energy management solutions such as corporate green PPAs, decentralized renewable power solutions or blockchain-based green traceability provided to our clients worldwide to help them seize opportunities in energy transition. They demonstrate ENGIE’s leadership in the field of energy transition and its commitment to providing innovative solutions.